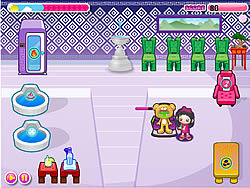 Barbara's Spa Game - FunGames.com - Play fun free games. Barbara needs some help to run her luxurious beauty spa resort. Your job is to give all the customers their favorite treatments. All earned money can be used to buy various upgrades for Barbara's spa shop. Follow the road to success and establish her brand in many major cities.